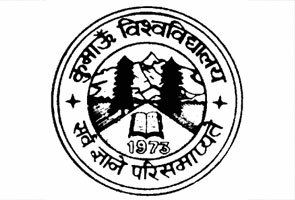 Himgiri Zee University (HZU) which was officially known as Himgiri Nabh Vishwavidyalaya, is well known university in the state of Uttarakhand. The University has been started in 1995 by the act of state legislative assembly (Act No. 17 of 2003), the government of Uttaranchal state (Act 2003) and Uttaranchal Adhiniyam Sankhya (17 of 2003), under the guidance of Himgiri Zee educational society to impart professional and technical education in the region of Uttaranchal state. Mr. Subash Chandra, the developer of Essel Group of industries and Zee Telefilms is the patron of Himgiri Zee University. The chairman had brought together set of committed anthropologists, sociologists, economists and progress to set up TALEEM – (Transnational Alternate Learning for Emancipation and Empowerment through Multimedia) to offer the access of higher education through open learning and distance education. 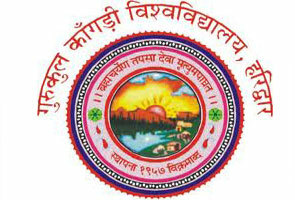 Himgiri Zee University (HZU) provides courses in both regular and distance learning ways and visualizes the use of modern techniques. The university offers world class education to students of isolated areas of Uttarakhand state and dreams to meet the growing or future demands for trained human resources in different educational, professional, technical, social, scientific organizations so as to conduit human energy to supportable economic and social development. The university is renowned by its unbiased behavior on grounds of casts, belief, residence, gender, community and religion. The university provides diploma, degree and certificate courses in esteemed field of education such as computer applications, interior designing, information technology, human sciences and much more. The Himgiri Zee University – HZU follows U.G.C act 1956 - 8.2 university grants commission regulations 1985 regarding formal studies and 8.3 university grants commission regulations 1985 regarding distance education for the admission of the programs. the students who want to register in this university should have successfully done 12 years of schooling by an examination directed by university or board. Admissions would be done by merit based on the criteria notified by Himgiri Zee University. The students would be eligible to pursue admission to master degree programs through distance learning in professional, health science and technical streams after successful completion of appropriate courses of specified time period. • Library sciences: B.L.I.Sc – bachelors of library and information sciences. • For architecture studies: bachelors and master in architecture and planning. • Health science: bachelors and masters of Science in health care with specification in paramedical areas. • Computer science and information technology: bachelor of computer application and master of technology in computer science. • Distance learning: bachelor programs, diploma and certification. • For social work university provides masters in social work. • Communications: bachelors and masters of Arts in communications, certificates and diplomas. • Management study: bachelors and masters of business administration with special focus on media management and telecommunications. • For naturopathy and yogic sciences the university offers certificates and diploma courses. 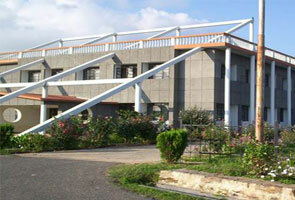 At http://www.hnv.edu.in/results.html, you can directly check the results for admissions and degree programs of Himgiri Zee University (HZU). Himgiri Zee University (HZU) location: the university is located at Dehradun in the state of Uttarakhand/Uttaranchal, India. It is about 18 km away from the Dehradun city.